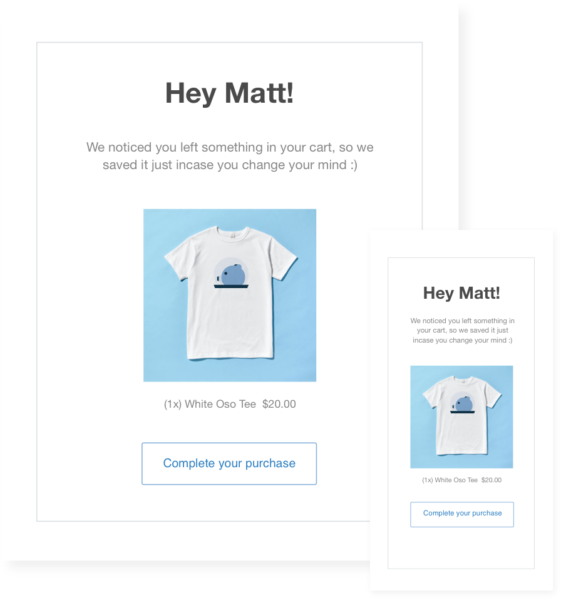 Jilt has the most valuable eCommerce email marketing campaigns built-in. With content and design ready-to-go, you can be up and running in minutes, confident that you’re sending emails that use industry best practices. The emails your store automatically sends to confirm information about a customer’s transaction have the highest open rates—by far. So don’t waste time sending boring default emails from Shopify or WooCommerce. Stand out from the pack and send transactional emails that take advantage of Jilt’s powerful segmentation and email editing features. Segmentation gives you more control over the lifecycle emails you send with Jilt by allowing you to define who gets your emails and why. By segmenting your audience, you can determine when and why specific customers get added to your email campaigns based on their behavior on your site. That makes your emails more relevant, effective, and valuable. Measuring and tracking the performance of your store and marketing efforts allows you to make informed decisions and improve your store. 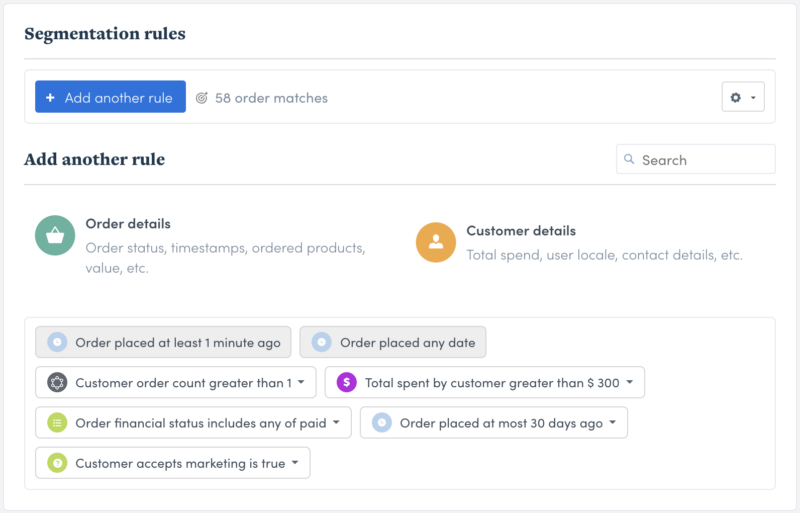 Jilt makes it easy to monitor the health of your store with comprehensive and easy-to-understand eCommerce metrics on everything from orders to campaign performance to revenue generation. 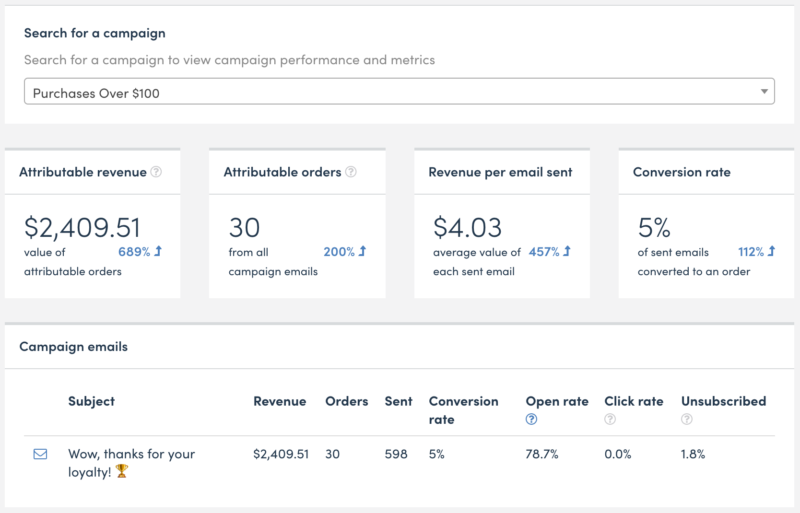 Pull up analytics for your whole store or dig into a single email, and set custom reporting periods for everything. Start with Jilt’s built-in templates and then edit to match your brand or design from scratch. 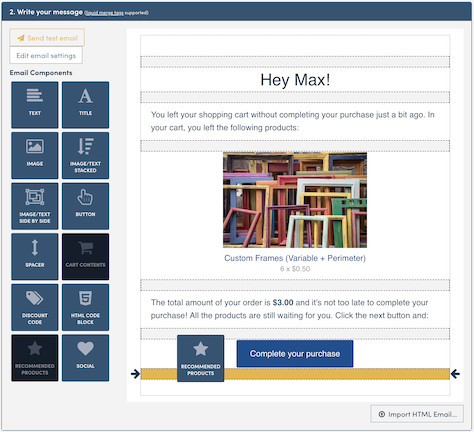 Jilt’s powerful email editor makes it a snap to design beautiful emails that will delight your customers and lead to increased revenue for your store. Free for 14 days, with fair pricing that fits your store!